Rahane and Pant come into the picture for a lot of reasons. Maharashtra-born Ajinkya Rahane has been given the responsibility of captaining India A in the first 3 ODIs against the England Lions. Meanwhile, the young and talented Rishabh Pant will be seen playing in the last two ODIs (against England Lions) before joining the Men in Blue in New Zealand for the T20Is. Also, as per The Times of India, both these batsman have been asked to play at the top order -- keeping in mind India's probable combinations for the World Cup. India is known to be a batting powerhouse. The selectors will have a rather difficult job in shortlisting India's batsmen, especially the upper order, for the upcoming World Cup. The Men in Blue will be heading to New Zealand full of confidence post the historic win down under. The first ODI between India and the Kiwis will be played on January 23, at the McLean Park in Napier. On the same day, India A will also be squaring off against the England Lions at the Greenfield International Stadium in Thiruvananthapuram. India A are set to play 5 ODIs and 2 Tests against the English team. With Shikhar Dhawan and Ambati Rayudu's form dwindling in the recent past, the team management has decided to ensure both Rahane and Pant bat high up the order against England Lions. Another reason for asking Pant to bat higher up may have been Dhoni's new found form. MSD scored 3 back to back half-centuries in the recent ODI series in Australia and was named the 'Man of the Series.' Two of his knocks proved to be match-winning ones. Even Dinesh Karthik and Kedar Jadhav proved their mettle in the ODI series against Australia. 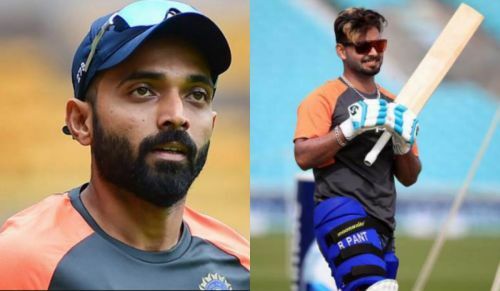 Uncertainty also looms over the decision to be taken on the suspended KL Rahul and Hardik Pandya after their 'misconduct' during a talk show. With just over 4 months left for cricket's most prestigious event to begin, the selectors do not want to leave any stone unturned to keep the best back-up options. The national selectors will continue to try out combinations in the top-order unless they find the perfect one. Ensuring that only the best of the best make it to the 2019 World Cup will be the topmost priority of skipper Virat Kohli and team management.